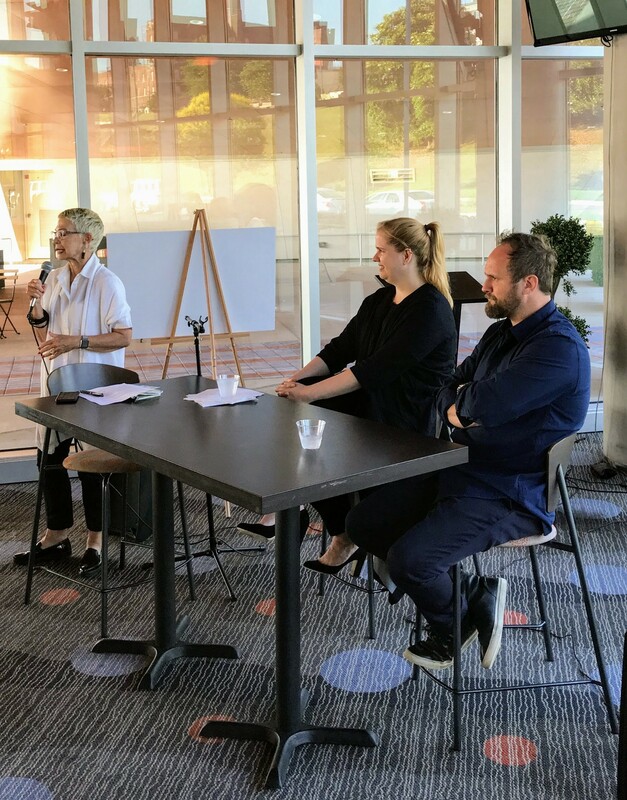 Jennifer Kinon and Drew Freeman presented their work at an Urban M discussion forum in June 2018. Earlier this year, we launched Memphis River Parks Partnership with a new brand and visual identity. This week, new signage is being installed along the riverfront. And then on Friday, November 9, we’re celebrating the grand opening of the River Line trail and River Garden. The design work was led by Jennifer Kinon. Jennifer is co-founder of The Original Champions of Design and has worked with clients including Prospect Park Alliance, The New York Times, the NBA and the Girl Scouts of America, among others. Signage was developed in partnership with Andrew (Drew) Freeman, founder of afreeman, with clients including the High Line , New York City Parks, National Geographic and Herman Miller. Jennifer and Drew sat down for a Q&A to explain the process that went into development of the brand and the signage. How did you get engaged with Memphis and what went into the brand? Jennifer: We’re huge fans of Memphis. 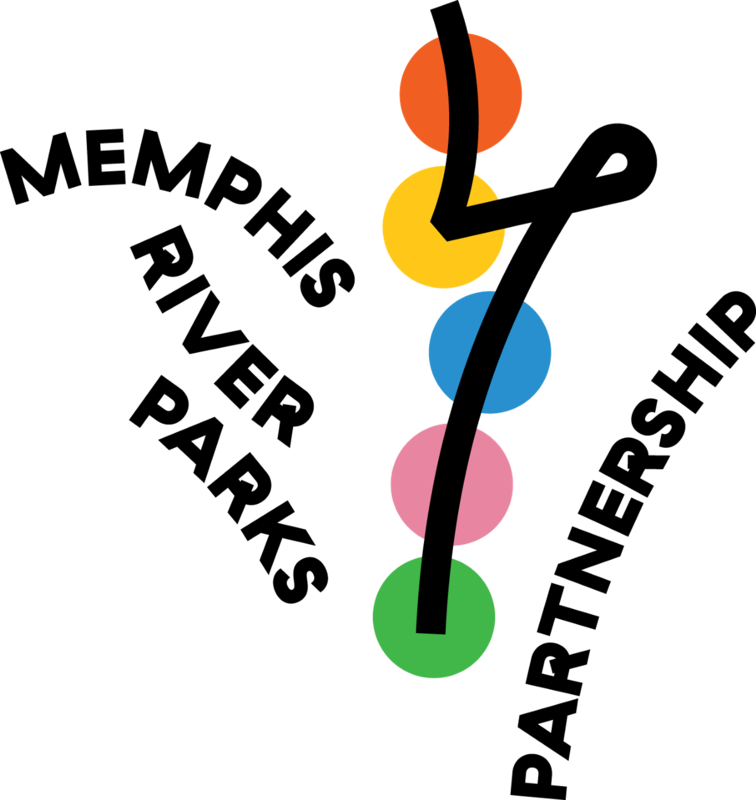 AIGA, the national association for design, held its annual conference here in 2009 and we keep coming back for more. We were thrilled when Diane Terrell [Head of Memphis River Parks Partnership Branding Committee] called with the opportunity to work on the riverfront. We started with a deep dive into the riverfront concept plan by Studio Gang, we interviewed Memphians and park staff, we looked at other cities’ riverfront identities, we dug around for artifacts from the riverfront’s history, and we collected samples of all the great design happening here in Memphis. We identified three core concepts to the brand: connection, innovation and fun. If the work didn’t bring people together, push us toward a better future and deliver a good time, then it wasn’t right for this project. The logo is a mini-map of the riverfront. 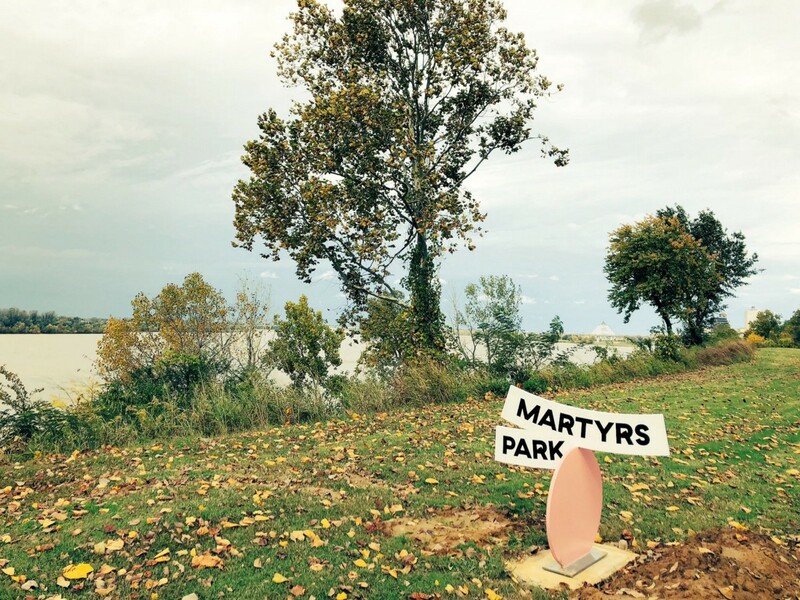 The River Line trail runs north-south through the five park districts — Greenbelt, Mud Island, Fourth Bluff, Big River and MLK. Each district includes one or more individual parks. The colors are drawn from the trolleys to remind us of how easy it is to get here. Just a short walk from downtown. What’s included in each park district? Jennifer: The park districts are core pieces of the Memphis Riverfront Concept. They will serve as the framework for future programs and developments. Each district delivers a very different experience. Some districts include several parks. Some are just one big park. The line that runs between the parks represents the River Line trail. The loop in the logo is everything. It represents the part of the trail that turns back on itself around after coming across the A.W. Willis Bridge from Mud Island. How did the brand influence the signage package? Drew: We worked closely with Jennifer and the OCD team to translate the brand into a signage package. We focused on the same three principles: connection, innovation and fun. Always keeping in mind that the star of the show is the Mississippi River. We had the great advantage of referencing a previous signage package and updating it for the new identity system and way-finding hierarchy. The signage is different for each district and park but retains enough conformity to identify that you’re still in the Memphis River Parks system. And, it’s fun. For example, the district signs ‘flip’ when you’re viewing them from within the park so you read the “back” of the sign. How many signs are there? And how did you figure out where to put them? Drew: We started by identifying the means by which people access and engage with the park, creating a sequence of identifiers, orientation devices and way-finding “breadcrumbs”. We’ve kept the program simple and employed as few signs as possible. Where the path is clear, there’s no need for clutter. Park ID sign in Martyrs Park. There are just four major sign types: large district signs are treated as gateways into the park and are placed and scaled with both vehicular and pedestrian traffic in mind (with a distinct sign-front and sign-back); disk shaped park identifiers are oriented and scaled for pedestrians within the park along the path and color coded to their district; way-finding totems are commonly placed where paths intersect, or where the path/orientation is not immediately clear; and ankle height garden signs are placed to reinforce that you’re on the right path and — like the park identity signs — color coded to match the district you’re in. The River Line and River Garden open Friday November 9 with a community celebration in the garden (located on Riverside Drive between Court and Jefferson streets) at 5PM. RSVP at rivergarden.eventbrite.com.